Source: Data provided by Reis, inc.
What are Opportunity Zones? The real estate industry is buzzing about this new program which allows private investment in country’s distressed communities. CBC brings you a quick overview to help you understand what they are and how investors can use them for their benefit. The Coldwell Banker Commercial® (CBC) organization is proud to present its’ 2018 Year-End Blue Book! 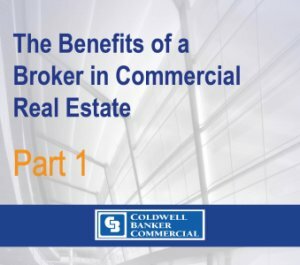 The Blue Book is a helpful market report with information brought to you by the true “on the ground” experts – the professionals of the Coldwell Banker Commercial organization from all over the world. CBC-affiliated professionals represent one of the largest commercial real estate footprints in the U.S. The Blue Book brings their local market feedback directly to you with up-to-date commercial real estate research covering 74+ Primary, Secondary, Tertiary & International markets. If you are thinking of investing in alternative markets, the Blue Book is your go-to resource for local commercial real estate market data! This is a market report that Coldwell Banker Commercial NRT prepared for the CBC Global Conference. 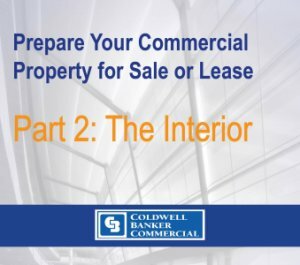 This report provides the 2018 forecast of net-lease properties and details why NNN properties remain well-positioned for continued success and growth in the coming months. The retail industry is in the midst of epic change and while some predict the end of brick and mortar stores, a recent Coldwell Banker Commercial Affiliates survey conducted online by Harris Poll aimed to explore current shopper preferences and trends to determine the real state of commercial real estate today. Infographic that addresses how each generation sees aspects like the adoption, use and importance of technology. Ultimately, each generations’ concerns come down to the impact that new technology will have on the industry. Which digital tools do commercial real estate professionals value most, and what devices are they using to access them, and how are these professionals’ technology habits likely to change in the years to come? As employers seek to define the workplace perks most likely to attract and retain employees, a recent Coldwell Banker Commercial Affiliates survey found that the physical office itself could keep staff happier. Coldwell Banker Commercial has commercial real estate market statistics to help you find out more about your local commercial real estate market. Whether you are looking for commercial real estate market trends or information on a commercial real estate markets size, we have the commercial real estate market reports you need.Get the information you need to make wise commercial real estate decisions by checking out our commercial real estate market reports. If you did not find the commercial real estate market information you were looking for contact us today!